Floor is the new Playground. 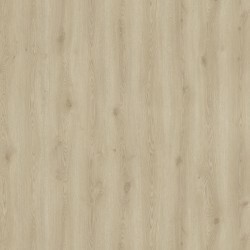 Sold by boxes of 24 planks each (3,34m²) Luxury Design Tiles Dimensions: 15,2 x 91,4 cm Installation Method: glue down Wear Class: 23/31 Total thickness: 2mm Wear layer thickness: 0,3 mm Commercial Warranty: 10 Years Phthalatfrei. Sold by boxes of 15 planks each (3,66m²) Luxury Design Tiles iD Inspiration 70 Dimensions: 20cm x 122 cm Installation Method: glue down Wear Class: Domestic: 23 Heavy Commercial: 34 Very Heavy Industrial: 43 Heavy Total thickness: 2,5mm Wear layer thickness: 0,7 mm Commercial Warranty: 10 Years Phthalatfrei. free from 750 EUR in Germany, for other countries on request. for orders bigger as 60m2 ask for special prices. We would like to introduce with our floor studio, we have lot of planks from different types of wood from light maple to dark wenge, solid wood flooring from oak and ash, and other quality products and special offers. We want to help our customers to find the perfect parquet floor.